Taking a magnifying glass to the incredible variety of armored vehicles, tanks and transporters that were used during the Second World War, Corgi is bringing to the collector a new level of detail and accuracy unseen before on diecast scale models of this era. The World War II Heroes Series will become a mark of the highest caliber with each new range released. 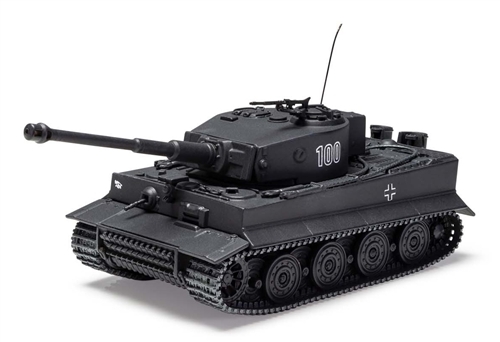 The meticulous attention to detail features working aspects to the model where appropriate, highly specific livery details, realistic-looking weathering and battle scarring, and, in some instances, unique and innovative features of the vehicles are also included. Each limited edition model has a numbered certificate and all models are presented in superb display packaging. The best known American halftracks were the M series made as a standardized design by Autocar, Diamond T, International and White. The M series had a similar front end to the White M3A1 Scout Car but used more powerful engines: a 147bhp 6.3-liter White AX in the Autocar, Diamond T, and White, and a 143bhp 1HC in the International.